My October Papergang box dropped on my doorstep last week and I have been so excited to share the contents of this month’s box with you. 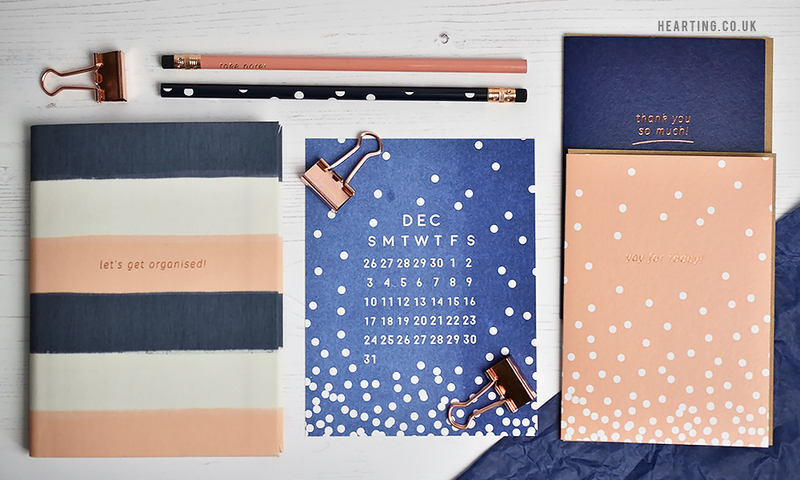 The theme this month is navy, peach and rose gold which is very much up my alley. Isn’t it beautiful? 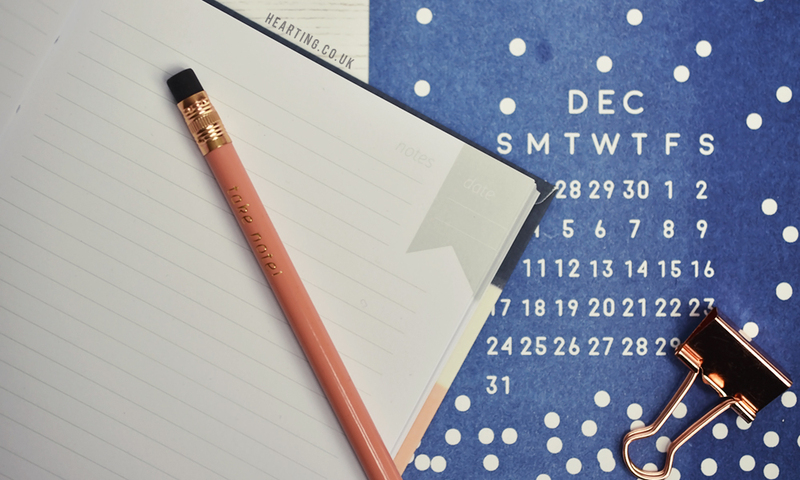 The first item that really caught my attention is the pretty striped notebook which has room for the date, to do’s and appointments as well as general notes on each page. The front says ‘let’s get organised!’ in rose gold and I’m all for a little slogan. The box this month also came with some rose gold bulldog clips which I’ll probably use at work and a spotty navy pencil and a peach “take note!” pencil which are both really lovely. I also received two greeting cards, which are both tastefully simple. I love that Papergang include greeting cards each month as it’s really built up my greeting card stash which is very handy for when I need one last minute. Another delightful box from Papergang! I’m so excited to see the contents of the November box, I hope there’s a hint of Christmas..
What do you think of the October Papergang box?